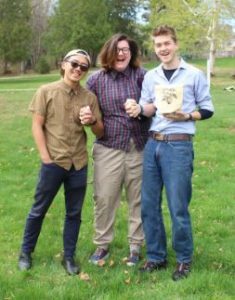 I caught up with San Francisco native and Outward Bound alum, Andrew “An” Nguyen (pictured left), this May when he was just a month away from graduation at the College of the Atlantic in Bar Harbor, Maine. 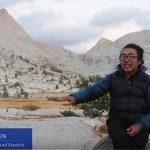 An first discovered his love of the outdoors through the Wilderness Arts & Literacy Collaborative, an academic environmental education program at Balboa High School, and has since pursued his passion through trail work with the Student Conservation Association; a 30-day backpacking and sea kayaking course with NOLS; an internship with Outward Bound’s Bay Area Center in 2015; and a 65-day semester course with Outward Bound California in 2016; and more! An was packing and preparing to lead a “train the trainers” backpacking trip for fellow students at his college when he graciously took a break to chat with me. 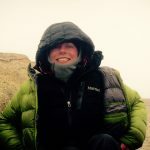 We talked about his biggest takeaways from his semester-long course, his environmentally-friendly outdoor gear startup, and his path forward working in outdoor education. 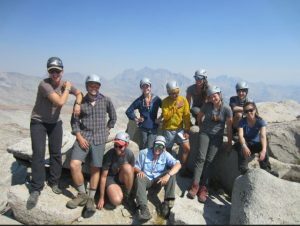 In 2016, Program Director Maggie Lyons Weller contacted An with the news that he’d been nominated for a full scholarship for Outward Bound California’s Outdoor Educator Semester Course. 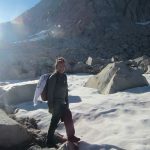 An embraced the opportunity and embarked on an educational odyssey that ranged from the High Sierra to San Francisco and from Los Angeles to Joshua Tree over the span of 65 days. In the midst of backpacking, rock climbing, service learning and Wilderness First Responder training, An encountered numerous challenges and made some powerful realizations. 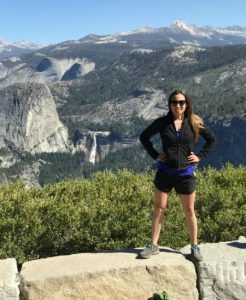 “My biggest takeaways were the interpersonal skills and the idea of having a beginner’s mind. I came into the course thinking I’d done NOLS, I’m hot stuff, I know what I’m doing. I thought I wasn’t going to learn much–maybe just reinforce my skills–but that was completely not true. For me, this is where a lot of the challenges came from on the course. At College of the Atlantic, An has been studying Human Ecology, focusing on outdoor education, business, and graphic design. For his senior project, An partnered with two friends to start a socially responsible business, Beehive Mountain Equipment, that was inspired in part by An’s outdoor trips with NOLS, the Student Conservation Association, and Outward Bound. 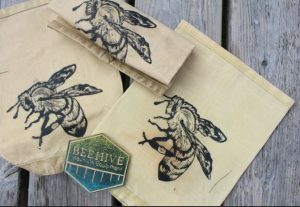 Beehive Mountain Equipment is a sustainable outdoor gear company that designs reusable beeswaxed cotton bags with the goal of reducing the use of plastic poly bags that are typically used by outdoor education groups. An says that as these reusable bags are resistant to water and rewaxable, they are ideal for storing trail mix, dry goods, sandwiches, and so on. It was important to him and his business partners that they support the local community too, so they have used locally-sourced beeswax for the bags and featured block prints from local artists for design and marketing. In addition to designing beeswaxed cotton bags, the Beehive Mountain Equipment team is also working with repurposed materials, such as the shrinkwrap used to winterize boats and sail cloth that would otherwise go to landfills in order to create outdoor gear. This summer An is excited about his job running adventure and camping programs on Mount Desert Island, Maine, while also working as a graphic design assistant. He leaves in September to take on a year-round position as an Outdoor Education Teaching Fellow at the Eagle Rock School, a residential high school in Estes Park, Colorado. (Notably, this is where Outward Bound California’s founding Executive Director, Josh Brankman, started his career too!) An is looking forward to making a home in the mountains and empowering students to find success and confidence through outdoor leadership. He also plans to continue his study of Spanish and graphic design and to continue exploring outdoors, perhaps in Latin America. Enroll to experience for yourself! If you know a young adult who would be interested send them this link for more information. Make a gift to support our 2018 Outdoor Educator Semester scholarship student today! Every gift, no matter the size, creates a ripple effect of positive change and personal growth. In the donation form, please note “Outdoor Educator Semester” as your gift designation.